Conjugated linoleic acids or CLAs are a popular supplement among many people from all walks of life for fat loss and to develop lean muscle mass. 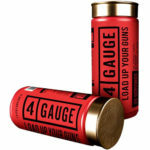 However, there are even more health benefits to be had from CLA supplementation, that warrant taking a closer look at this supplement, as we also review Bodybuilding.com’s Foundation Series CLA Softgel capsules. What are Conjugated linoleic acids? CLAs are naturally occurring fatty acids found in meat and meat products (especially Kangaroo, beef and lamb) as well as dairy products and eggs. It’s been found that meats from grass fed animals contains a higher level of CLAs than those that are grain fed , a good reason to go with organic, free range meats if they’re available. Since the mid to late 1980s, there has been a lot of research into the benefits of CLAs in treating modern health issues like the prevention of atherosclerosis, different types of cancer, hypertension and also for the improvement of our immune system’s function. Something that might surprise you as it did me, is that CLAs are a trans fatty acid! Yep, one of the big no-nos of nutrition may, in this case be a good thing! However due to their molecular structure, they’re not considered as a trans fat when it comes to nutritional guidelines and regulations. The main reason the majority of people supplement with CLAs is for fat loss and both research and anecdotal evidence show that it is very effective at reducing body fat mass without reducing total body mass. In other words, it promotes the use of fat as an energy source, while assisting in metabolism of protein and other nutrients for the synthesis of muscle tissue, but this is just the tip of the iceberg when it comes to its health benefits. While there has been many studies of the overall health benefits of CLAs, studies that focus on their performance enhancing effects have been less prominent. One of them in 2006 found that lean muscle gains in athletes who supplemented with CLAs were greater than in the athletes who didn’t. The same study also found that CLAs may have an anti-catabolic effect, reducing muscle tissue breakdown. Other studies have also had positive findings for athletes including: enhancing stamina, increasing our body’s use as fat for fuel and reducing the use of liver glycogen as a fuel during exercise. There is also some evidence that CLAs might improve testosterone levels. Perhaps the most important finding for us as body builders, is a 2009 study which showed that by using CLA together with creatine and whey protein, athletes had better strength and lean muscle mass gains than athletes without CLA supplements added to their diet. So far all research has had very positive results and there are many ongoing studies into the general health benefits of CLAs as well as their value to bodybuilders and athletes in general. As you may know already, a lot of the fat burners on the market rely heavily on stimulants to get the job done. Usually caffeine, as well as some other less well known ones, some of which are banned in many countries. CLAs are a fatty acid NOT a stimulant. 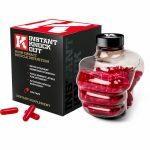 This makes them ideal to take at any time of the day or night to suit your supplement schedule. 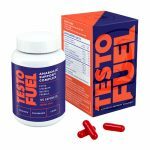 They can be stacked with other non stimulant fat loss supplements such as Green Tea Extract, possibly increasing your fat loss. On the topic of non-stimulant supplements, if you are using Chitosan for fat loss, DO NOT use CLAs. It will be a waste of your time in more ways than one. Chitosan works by stopping your body from absorbing fat and basically flushes it as waste. Because CLAs are a fatty acid, they will be flushed and so will your toilet…often. When it comes to dosage, it seems to be something no-one can quite agree on. Doctors treating severely obese patients prescribe anywhere from 1.8 – 7grams of CLA per day. However the studies above and others, have shown that there is no extra benefit in supplementing with more than 3.4gm / day. In an average, well balanced diet of 2000 calories / day, it’s estimated that we get up to 200mg of naturally occurring CLAs in the foods we eat (except for vegetarian and vegan diets which are lower in CLAs). So taking those figures into account, a dosage of between 1000mg-1800mg will put you in the middle of the field. In this regard, I’d suggest following the dosage recommendations on the bottle. One other area of non-agreement between the boffins, is what time is it best to take it. The middle ground between all of them is spread out over your meal times and close to your workout time. Being naturally occurring fatty acids, there are only a few side effects of using CLAs and a couple of warning for people with certain conditions. It’s been found that CLAs can worsen the effects of diabetes and also increase the risk of diabetes in people suffering from Metabolic Syndrome. If you or are family member suffer from these, speak with your doctor before using this or any other supplement. So far there hasn’t been a lot of research about the effects of CLAs during pregnancy or while breastfeeding, so as a precaution, I’d advise you to avoid its use until your kiddie has been nursed. The most common side effects are: Upset stomach / nausea, diarrhea and in some cases fatigue. Generally these effects show up when you first start using the supplement, then diminish as your body gets used to the dosage. However if these symptoms continue, stop taking CLAs until you get the all clear from your doctor. Well known as the leading web site in the field of bodybuilding, Bodybuilding.com recently introduced their “Foundation Series” of supplements and have included CLA in their range. Their product comes in bottles of 90 and 180 Softgel capsules with recommended retail prices of $27 and $43 respectively. 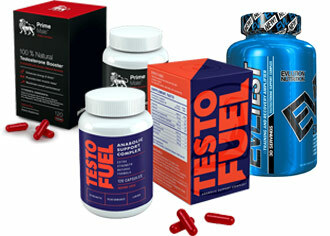 However, being their own in house brand, Bodybuilding.com are able to offer them at heavily discounted prices. At the time of writing this article, they were reduced to $10 and $20 respectively. At $0.11 per serve, it’s very cheap indeed. Bodybuilding.com’s bottle suggests taking 1 capsule (1000mg) with each meal per day. This would put you right about the 3.4g / day dosage I mentioned earlier. BUT…. You knew there was going to be a but didn’t you? The actual dosage per capsule is 800mg of CLA. There was no actual ingredient data available, so I’m assuming that the 800mg is derived from animals rather than plants. The other 200mg is Safflower oil, which itself is very high in CLAs so you’ll still be getting a great supplement. Being in capsule form, there are no mixing or taste issues. 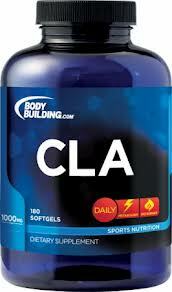 Numerous studies have proven the fat loss benefits of CLAs. There are many other health benefits of supplementing with them. Very few side effects or medication interactions. Can be stacked or taken as a stand alone supplement. Bodybuilding.com is a trusted name in the industry. Not suitable for sufferers of Diabetes, Metabolic syndrome and possibly nursing mothers / when pregnant. Okay, with all those pluses and only 1 negative, it’s easy to see that CLAs are a very worthwhile addition to your stack or as a stand alone for fat control. Even if your body fat percentage is low, I really think with all the proven health benefits they offer, they are a supplement we should all be taking a serious look at.